Tell us about your journey in sales and how you reached AdSwerve. I have been working in media for most of my career and digital media sales for the last 17 years. The first digital ad was only sold on Wired in 1994 so it’s not that old of a medium (it was for AT&T). As this space gets more and more sophisticated, we need to simplify as much as we can. We need to empower our clients to own their own data and make smart decisions based on it while making them look smart and have them be able to speak the language they need to internally. In the early days, we used to sell banners for $45 CPMs on publisher sites such as TV Guide and it was very simple, mirroring other mediums in the sales process. As things progressed and got more sophisticated in the digital space, I became fascinated with the idea of using things like targeting, location and closed-loop sales attribution and proving that the cash register rung when you advertised. So, it went from a shotgun approach and has evolved into a very targeted data-driven approach. 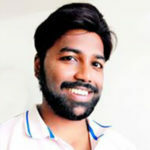 AdSwerve helps marketers conceptualize, understand and act on their media. Coming to AdSwerve, I was impressed that the company has trained thousands of marketers at the agency and client level since it’s inception with many of those now acting as our referrals as they move into other roles or to new companies. Nearly 20% of our business comes from previous marketers who have moved to another company — that says a lot about AdSwerve’s level of service and now with analytics and cloud fully in the mix, this is a winning combination for full-service needs. I discovered the company through a former colleague from my days at AOL and was immediately impressed with the leadership and excited about the possibilities of working with the company and serving as an extension to Google. I feel that through my experience, I can bring context, storytelling and my own approach to sales to the team. I would love to be a distiller or brewmaster. I live in Vermont and per cap the state has more breweries than any other place so it is easy to see the appeal, and I like the business of making high-quality things that people enjoy. Tell us about the core tenets of your sales management strategy. How does it empower your sales teams to deliver on the performance targets? Get everyone singing from the same hymnal while empowering them to run their own business, embrace their personal style and then ensure that they represent the AdSwerve brand. As a manager, my philosophy is that I always want to carry a bag — and want to be a part of the sales process. What is AdSwerve for sales teams and how different is it from other Marketing Technology platforms? We are a partner-first company selling services for one of the most pre-eminent products in the marketing and analytics world. Working closely with Google, AdSwerve is comprised of a team of individuals who are certified and bring domain expertise across the full Google Marketing Platform, Analytics and Cloud suite and we couple that with a white-glove service approach. As discussed prior, our business has a high degree of referrals, which speaks to the level of people we hire and the service that we give. How is the B2B sales ecosystem in the US different from its European counterpart? Did you get a chance to explore other geographies? I have always sold in the US exclusively. What are the challenges to leading a successful high-return sales team in 2018? I think that the market for talent is very competitive. Client turnover in this space is another challenge that we and everyone face. So, you have to go deep within a company and make sure that you establish multiple points of contact at each company. You need to have more than one ally at each company. Last is the noise. That are so many companies who are selling point solutions. The fortunate thing about AdSwerve is that we are selling the pre-eminent platform — Google. For years, we have heard from clients that they can only select a few companies that they can work with and that it is important that their platforms talk to each other. Many are seeing more than 1,500 “point solutions” but the reality is that many of these marketers only have the bandwidth to work with four or five solutions. Why not use one that is seamless and is the industry leader? What lessons from 2018 are you planning to execute in 2019 to amplify your sales achievements? 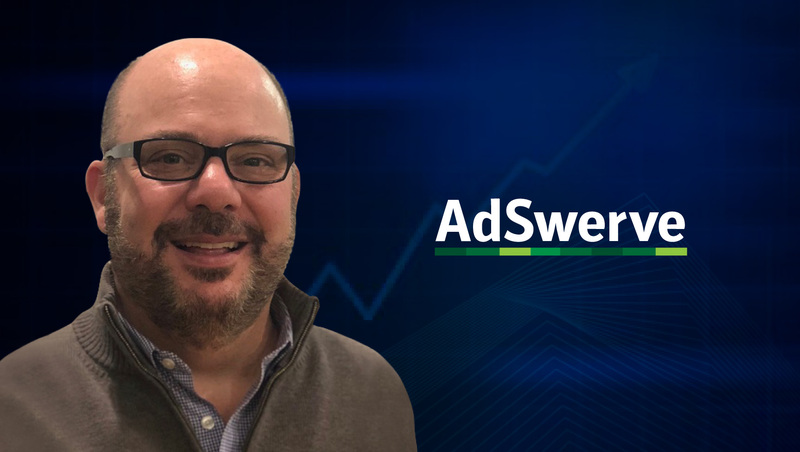 I joined AdSwerve right after the company acquired Analytics Pros and in that short time, have learned the power of bringing media buying and measurement expertise and cloud under one company. I hope to take what the two companies (AdSwerve and Analytics Pros) have to offer and ensure that existing clients fully understand and embrace the opportunities that exist across the Google Marketing Platform, Analytics and Cloud. By focusing on data first, we can offer a holistic view of a client’s campaign performance and better guide them on future media and programmatic strategies. How do you consume information on latest technology news and sales updates? AdExchanger, Digiday and Business Insider are must reads. I also watch and react to what people are posting on LinkedIn. How do Automation and Intelligence tools help you and your team to drive sales? How do they make your work easy? In our business, we believe in a high-touch service model and we have intentionally not automated the sales function. We don’t use any kind of automated message to our clients as we believe that puts people off. We do use Salesforce and Slack for communication and leverage automated reminders to ourselves but that is as far as we go into automation. I will continue to monitor the possibilities of AI and will adopt as I believe it makes sense for our business. These are the events where everyone from our industry gather and where potential clients go to learn. Your advice to salespeople in the AdTech industry? Devour as much as you can, be flexible in your career path and never burn a bridge. Thank You, Sugar, for answering all our questions. We hope to see you again, soon. AdSwerve’s goal is simple: Using our experience and knowledge of this ever-changing digital space, we scour the industry for the best tools, do the homework so you don’t have to, and become an extension of your team to provide the technical solutions you need. We are more than a partner: we work in lockstep with you to build technical bridges between powerful, market-changing tools and your business to accomplish your goals. Our success is your success. JB Sugar is Senior sales leader with over 15 years of experience managing digital and mobile sales, marketing and programmatic teams. Proven in developing large-scale, customized digital and mobile programs for Fortune 500 brands across all categories including automotive, hospitality, pharmaceutical, CPG, telecom, entertainment advertising.